Cafe racer style cotton jacket. 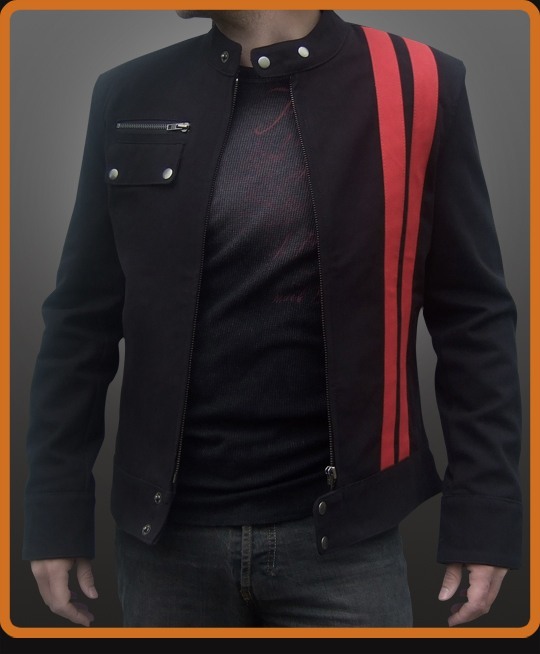 Details include vertical red stripes, popper cuffs, gunmetal zips and biker style collar. True vintage looks.